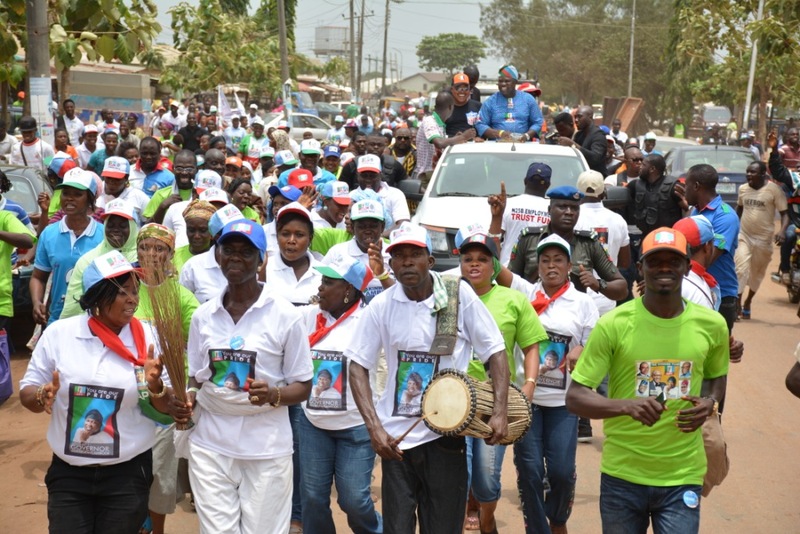 The All Progressives Congress (APC) campaign train led by its Lagos State Governorship Candidate, Akinwunmi Ambode, rocked more streets of Lagos today. The roadshow campaign rode through many streets of Lagos where campaign items like T-shirts, fez cap, CDs among others were shared. 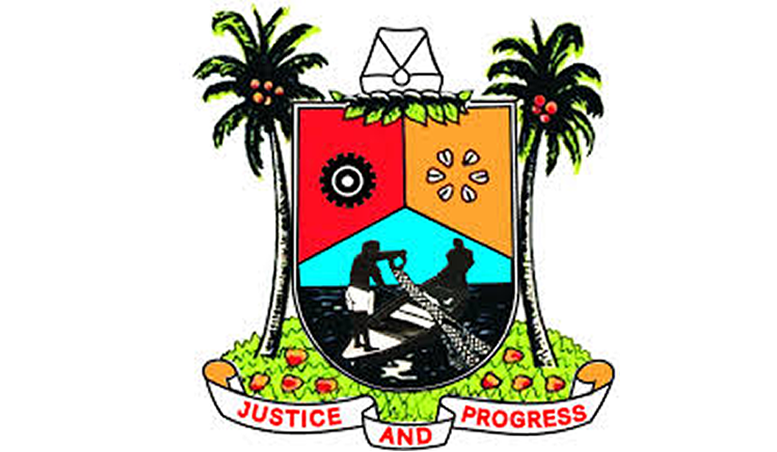 The All Progressives Congress (APC) campaign train led by its Lagos State Governorship candidate, Akinwunmi Ambode, rocked the streets of the Somolu-Bariga Local Government Area (LGA) today. The roadshow campaign rode through many streets in the densely populated area giving out party memorabilia to the delighted onlooking crowds. The items shared were T-shirts, fez caps and CDs. 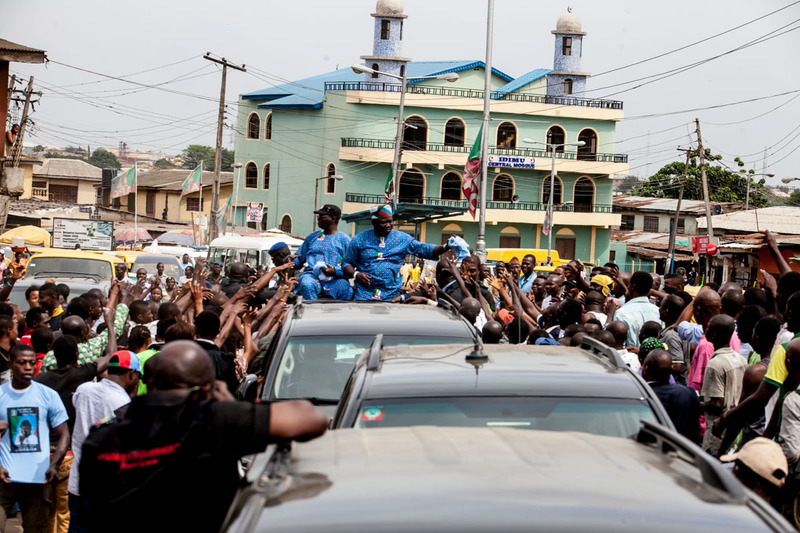 The people of Shomolu were excited to receive Ambode who in the course of his career lived and worked in the local government area. 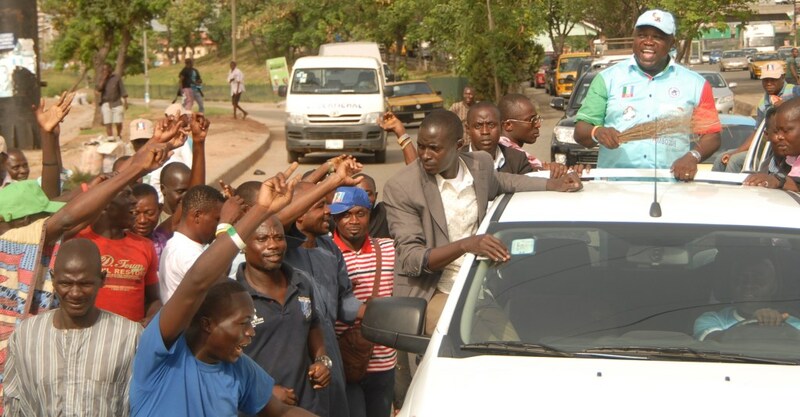 The reception was warm and the turnout very high as the people showed massive love for Ambode as he rode through the streets cknowledging their cheers throughout the course of the roadshow. In solidarity with Ambode was the Lagos State Governor, Babatunde Fashola (SAN), whose presence further lit up the scenes in the Shomolu roadshow. 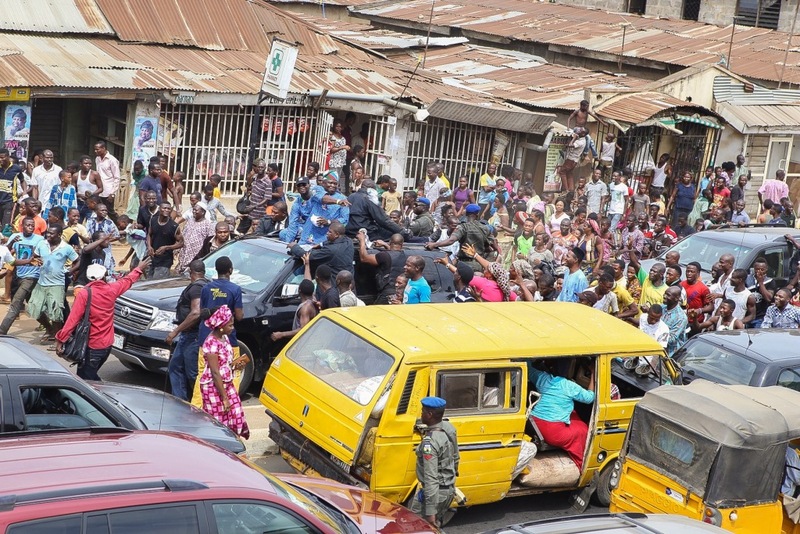 Jubilant scenes marked the Akinwunmi Ambode roadshow today. The roadshow covered a stretch of Lagos roads from Mobolaji Bank-Anthony through portions of the Maryland to Ikorodu road and to Gbagada. 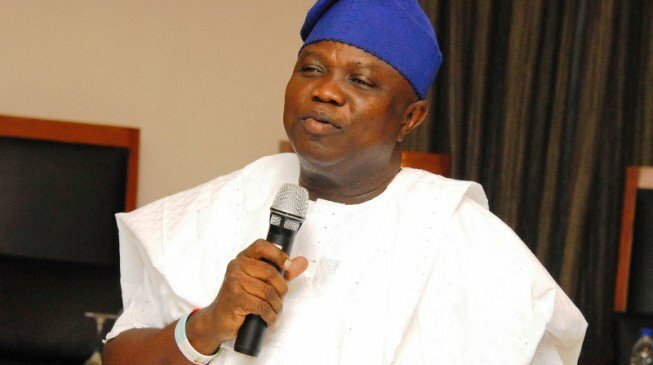 The continued show of support received by the All Progressives Congress (APC) gubernatorial candidate on the road keeps expanding the base of his acceptance and support amidst the Lagos electorates ahead of the April 11, 2015 election. The reception keeps getting bigger as the Akinwunmi Ambode roadshow keeps rocking Lagos communities, and getting the people in tune with his message of continuity in the state and of Change in the centre. The All Progressives Congress (APC) gubernatorial candidate today took his roadshow to the IJEDE community in the Ikorodu division of the state, and the overwhelming acceptance was convincing enough to assure victory.